Home » All Things Disney » Free Disney Decal of your Family! Free Disney Decal of your Family! 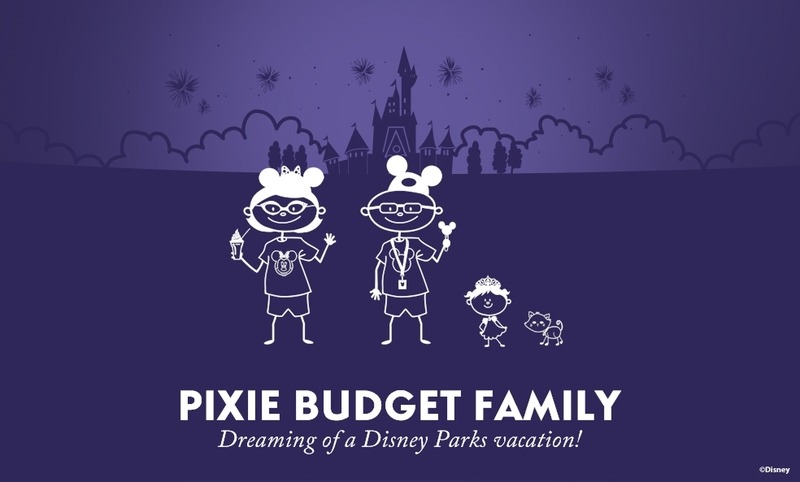 You may have seen this on social media.. Get a Disney-fied decal of your family for FREE! BuildYourDisneySide.com offers the chance to custom design your family in their Disney-best, and 4-6 weeks later they’ll send your creation for free. Really free, as in no credit card required. Now, you will probably be in their mailing list forever, but I’m ok with that. I’m already on every mailing list they have, ha! Start by customizing family members with Disney hair, outfits, hats, and accessories. Some items are “premium” but this only means you have to give them your e-mail and mailing address. You’ll likely have to give this to them anyhow to ship. After you’re done choosing, you have theme park options as your background. Choose from a stylized Cindy’s Castle, Sleeping Beauty Castle, Tree of Life, Spaceship Earth, the Water Tower at Hollywood Studios or California Screamin’. From here, you can download your creation, or order the decal. The decal has 4 color options, light blue, navy, purple or orange. So, go get yours over at BuildYourDisneySide.com!